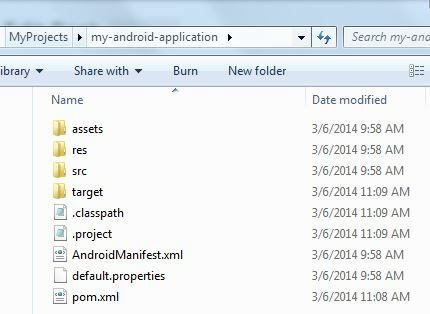 New project named ‘my-android-application’ will be generated inside ‘MyProject’ folder. 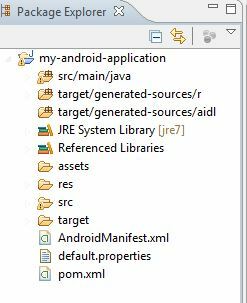 Generated project contains AndroidManifest.xml and pom.xml files. 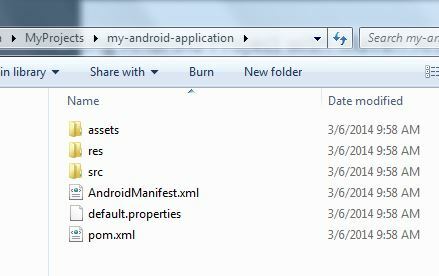 Note: Open the pom.xml file -> change the ‘android-plugin-version’ value to 3.6.0 and Save. 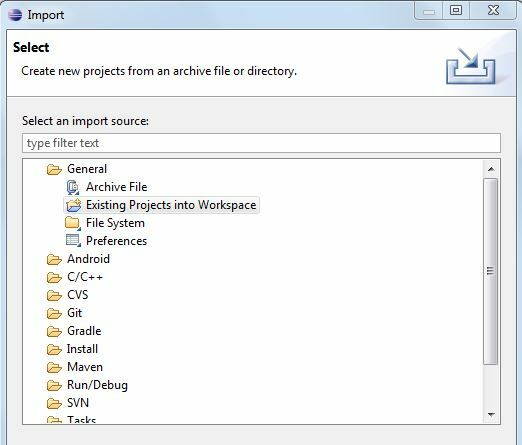 The new project created from Maven archetypes, cannot directly import to Eclispe. For that we need to run a new command to convert the project to an eclipse project. 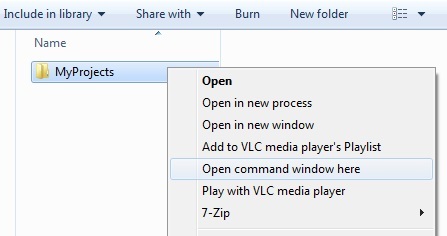 This command generates .classpath and .project files. Add ‘External Maven Installation’ -> C:\Program Files\apache-maven-3.0.5. Apply Ok.
Make sure you have set Andorid SDK preferences. 4. Goto Project Properties -> JavaBuildPath -> Remove references to M2 Repository. Note: You will get errors at Project src. This will refresh Maven Dependecies and Fix the project errors. 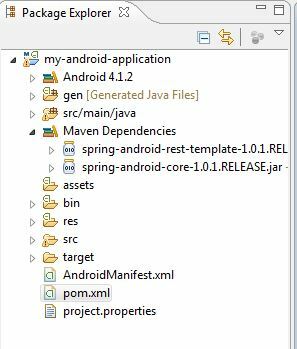 This adds spring-android rest-template and core libraries as Maven Dependencies. 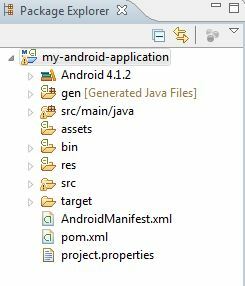 So this is all about creating a simple android-quickstart project with Maven archetypes.